Home / Automotive / News / Video: All-new Bmw M5 Teased Prior To The Frankfurt Reveal! BMW's newest M5 is all set for the Frankfurt Motor Show where it will make an official debut next month. However, lucky for us, the Baravian carmaker has made us a teaser campaign with a new video allowing us to take a peek at the new model! The video (which can be seen below the article) briefly shows the super saloon at full chat in an unnamed desert. It reveals the aggressive styling cues for the M5 that will fight closely with the latest 604bhp Mercedes-AMG E 63 S.
On show is a muscular-looking front apron with large, angular vents and M5 badging, as well as the firm's new hexagonal lighting signature. 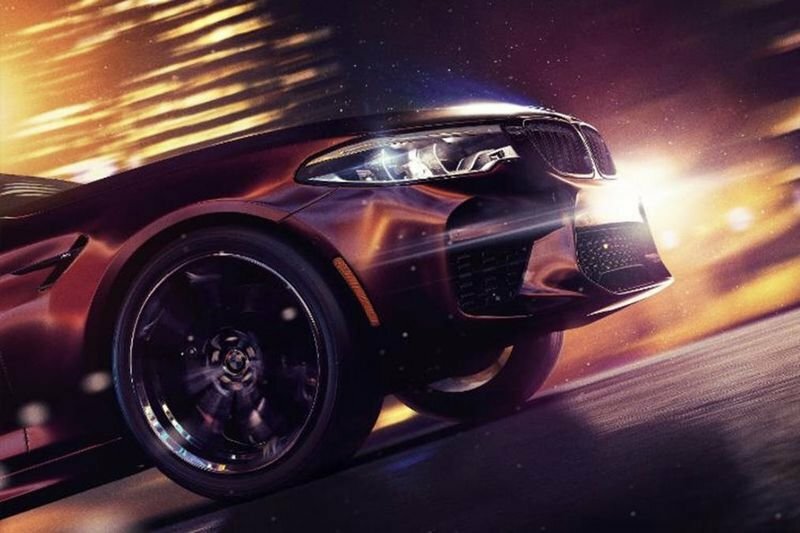 We may have already seen the car in the metal pre-production drive, but these digital images that show glimpses into the car's final design give us the first look at the new M5 without a disguise! The new BMW M5 will use an xDrive all-wheel-drive, V8 powertrain with upwards of 600bhp expected! Speaking at the 2016 Paris Motor Show, Van Meel stated that "the M5 has to drive like an M5 does today, but with better traction as well." In addition, he suggested there was no immediate want or desire for an electrified M car (despite rivals Mercedes-AMG using the show to announce a flagship 900bhp hypercar complete with an F1 engine mated to a powerful electric motor). The ex Audi Quattro boss van Meel said: "We don't want to ruin the balance. An M car must have the agility, precision, and dynamics. These cars are designed for the track. In motorsport, it's about every gramme." We had already seen the car around BMW's test centre at the Nurburgring race track earlier. But, as usual, the camouflaged prototype gave few details away. What we can tell is that that the wheels, likely to be non-standard, hide the required huge brake discs, while the familiar quad tailpipes are proudly displayed. When it comes to propulsion, the current 4.4-litre twin-turbocharged V8 engine will remain with some fetting to improve emissions and fuel economy. It will, however, be heavily tuned to develop more than 600bhp. The 0.62mph sprint should take about 3.5 seconds. Watch the video for more information about the new BMW M5 – the details are there! Mercedes Benz Brings A New Amg Concept-project To Frankfurt!